Just a few weeks following Dr. Kent Brantly and Nancy Writebol's release from Emory Hospital in Atlanta after being treated for Ebola, yet another stricken American is coming back home for care. Dr. Rick Sacra is the third Ebola-infected American, and is currently on a plane to The Nebraska Medical Center in Omaha, where he will be given expert care in what is described by the biocontainment unit's associate medical director as "one of the safest places in the country." Though some are concerned that Sacra is going to Nebraska rather than to Emory, where the other American patients were treated, hospital personnel have said that the State Department has requested a change in location, so as to ensure that as many states as possible are prepared for the disease should it come to the United States. Though the U.S. is certainly better equipped to handle the disease than several of the overtaxed, understaffed, and underfunded hospitals in West Africa, there are still only four facilities in the nation with the capacity to deal with the disease. The largest is the Nebraska Medical Center, where Sacra will be treated. Dr. Phil Smith, medical director of Nebraska's biocontainment unit, told NBC News, "This unit was specifically designed to care for patients of this nature and is staffed with infectious disease experts who have prepared for years for situations like this one." The unit, which is "sealed, guarded and secure," is said to be "uniquely prepared to handle infectious diseases." Among the unit's many features are "a special air-handling system to ensure that microoganisms don't spread," a "dunk tank for lab specimens," and a "pass-through autoclave [which] assures that hazardous materials are decontaminated before leaving the unit." Other facilities include the National Institutes of Health facilities in Maryland and Montana, which both run highly contained treatment centers that should be well-equipped to handle an Ebola outbreak. Thus far, the three other patients who have been flown out of West Africa and back to their homelands, including Americans Brantly and Writebol, as well as British citizen William Pooley, have made full recoveries. The Ebola outbreak, which is already the deadliest to date, has killed approximately half of the 3,700 individuals the virus has infected, with the World Health Organization estimating that 1,900 patients have died from the disease. 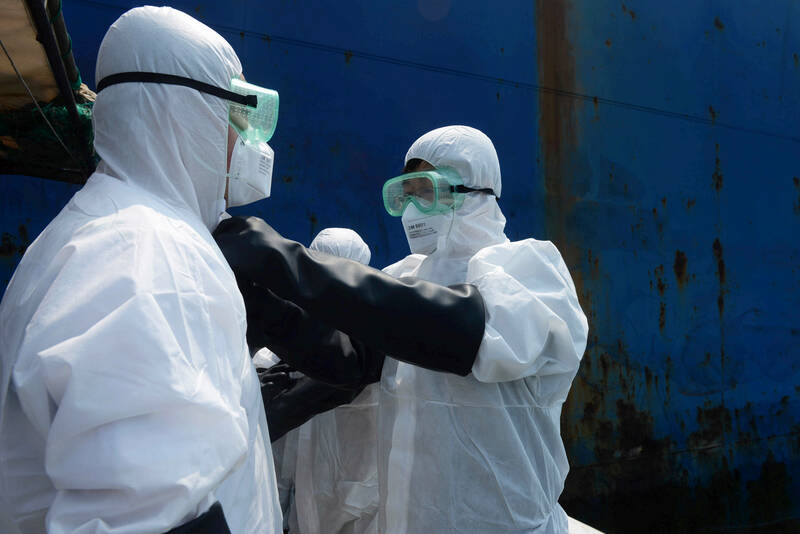 A similar proportion of healthcare workers have also fallen victim to the virus, with about 120 of the 240 infected volunteers succumbing to Ebola. With a dangerous lack of infrastructure, including hospital beds and other necessary pieces of equipment, as well as proper sanitation mechanisms like running water, the situation in parts of West Africa becomes increasingly dire. Dr. Sacra, a 51-year-old physician who hails from Boston, was in Liberia as part of SIM, the North Carolina-based Christian organization that was also affiliated with Nancy Writebol. Sacra operated in Liberia as an obstetrician, and was not directly treating those with Ebola, but was rather helping to deliver babies when he contracted the virus. In fact, Sacra was one of the doctors who helped pen the safety protocols about Ebola, and the unit in which he volunteered was nowhere near the Ebola unit. But the doctor represents just one of many individuals who have been tangentially affected by the disease, especially as Ebola takes up more and more precious healthcare resources. Debbie Sacra, his wife, told reporters that while her husband was "clearly sick . . . he was in very good spirits," and could walk himself onto the plane. Sacra's decision to return to Liberia was a brave one, as he made the journey to Africa after learning that Brantly and Writebol had fallen ill. Though the doctor was well aware of the risks associated with his work, his wife noted, "He is not someone who can stand back when there is a need that he can take care of." Sacra's brother, Doug, also told local Boston news channel WCVB that at 10 years old, Rick had already decided that he wanted to help those in need. Rick was receiving excellent care from our SIM/ELWA staff in Liberia at our Ebola 2 Care Center...However, The Nebraska Medical Center provides advanced monitoring equipment and wider availability of treatment options. Unfortunately, conditions in West African clinics simply cannot compete with facilities in the United States and Europe. In the main part of the hospital, where there is no air conditioning, many healthcare providers choose not to wear the protective gear that is meant to shield them from the Ebola virus, making them particularly susceptible in humid, sticky temperatures along the equatorial regions of the continent. While doctors and nurses are supposed to wear protective suits while inside the Ebola unit, there is no such requirement for those who work in other areas of many hospitals, especially because there simply aren't enough suits to go around. There are only a limited number of seats available to come into Liberia. ... That’s one of the biggest problems—getting medicine, protective gear and supplies for health care workers who are there. To watch so many people suffer and die was horrendous...But, to be able to encourage their families and to come alongside families that are grieving, there’s hope in that. And, to be able to see a survivor? I mean, oh my goodness. To watch that little boy walk out as a survivor...that’s what it’s about.